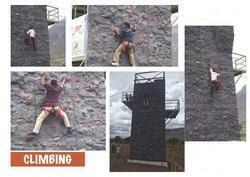 Manufacturers of Climbing Artificial Climbing Walls. 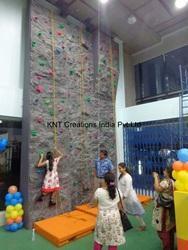 KNT Creations Offers State Of an Art Auto belay Systems.First time in india climbing made real safe. 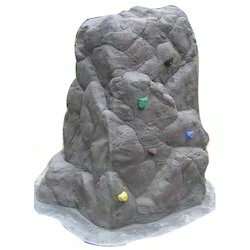 This system will make anybody get the climbing Experience without the fear of being falling. 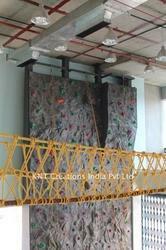 KNT Creations Imports the Auto belay Systems from US counterparts. 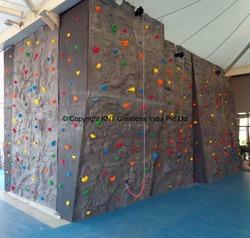 Space Required: 17' 2" x 14' 9"
Our supplied range of Climbing Wall widely recognized in the marketplace due to ideal working, sturdy make and long lasting nature. All walls are accessible in market in different sizes and modulations. 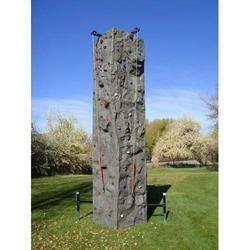 Material: Tough High-Quality Fiber Reinforced Plastics. 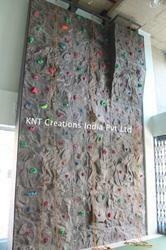 Size: as per specifications & requirements. 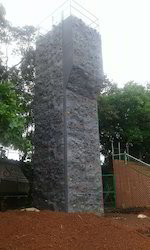 Corrosion Resistant & maintenance free. 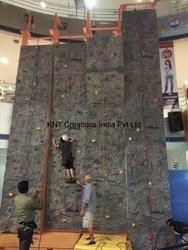 KNT Creations Offers ASTM approved modular Climbing wall Panels. Easy to Install and realitic looking. 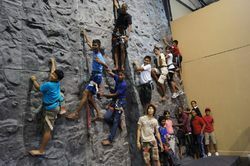 This is real fun in GYMs. 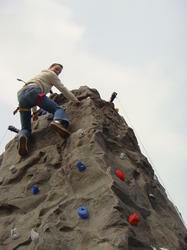 Looking for Artificial Climbing Walls ?